MainSail is the newest member of the Shelter Cove family. This beautiful complex of spacious condominiums offers breathtaking views of the Harbour, and is a very short walk to all of the wonderful shops, restaurants, and marina amenities. Mainsail has an expansive pool area, complete with an oversized spa, playground and grilling area. As with all Shelter Cove properties owners have the ability to hop on a free shuttle to enjoy the beaches of Palmetto Dunes. Each villa has a screened porch and an individual locked storage room in the garage. 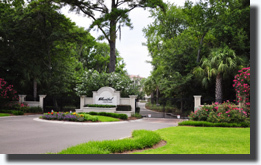 MainSail is a gated complex and also offers covered parking. A Board comprised of MainSail owners oversees the property with the assistance of Allied Management Group, recently named the Best Management Company on the Island. Their focus is to provide a high level of service to all of our owners and guests. We hope you have the opportunity to visit MainSail and experience the best of what life at Shelter Cove has to offer.